What is the cheapest way to get from Croydon to Bensalem? The cheapest way to get from Croydon to Bensalem is to line 128 bus which costs $3 and takes 12m. What is the fastest way to get from Croydon to Bensalem? The quickest way to get from Croydon to Bensalem is to taxi which costs $17 - $21 and takes 6m. Is there a direct bus between Croydon and Bensalem? 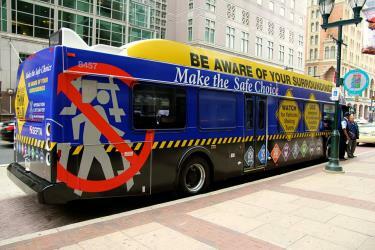 Yes, there is a direct bus departing from State Rd & Cedar Av and arriving at Street Rd & Knights Rd - FS. Services depart every three hours, and operate Monday to Saturday. The journey takes approximately 12m. How far is it from Croydon to Bensalem? The distance between Croydon and Bensalem is 3 miles. How do I travel from Croydon to Bensalem without a car? The best way to get from Croydon to Bensalem without a car is to line 128 bus which takes 12m and costs $3. How long does it take to get from Croydon to Bensalem? The line 128 bus from State Rd & Cedar Av to Street Rd & Knights Rd - FS takes 12m including transfers and departs every three hours. Where do I catch the Croydon to Bensalem bus from? 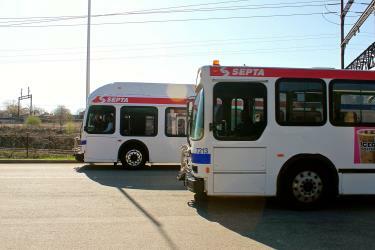 Croydon to Bensalem bus services, operated by SEPTA, depart from State Rd & Cedar Av station. Where does the Croydon to Bensalem bus arrive? 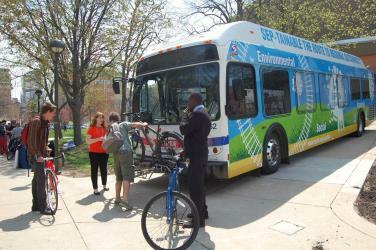 Croydon to Bensalem bus services, operated by SEPTA, arrive at Street Rd & Knights Rd - FS station. Where can I stay near Bensalem? There are 388+ hotels available in Bensalem. Prices start at $86 USD per night. What companies run services between Croydon, PA, USA and Bensalem, PA, USA? 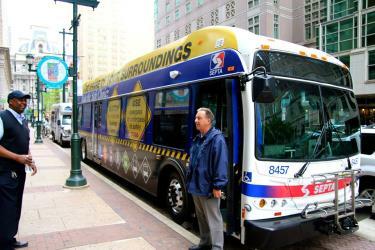 SEPTA operates a bus from Croydon to Bensalem every 3 hours. Tickets cost $3 and the journey takes 12m. Rome2rio's Travel Guide series provide vital information for the global traveller. Read our range of informative guides on popular transport routes and companies - including Need to know: Greyhound, How to plan an amazing trip around Scandinavia and Best ways to travel around Australia - to help you get the most out of your next trip. The Eastern State Penitentiary, also known as ESP, is a former American prison in Philadelphia, Pennsylvania. It is located at 2027 Fairmount Avenue between Corinthian Avenue and North 22nd Street in the Fairmount section of the city, and was operational from 1829 until 1971. The penitentiary refined the revolutionary system of separate incarceration first pioneered at the Walnut Street Jail which emphasized principles of reform rather than punishment. Neshaminy State Park is a 330 acre Pennsylvania state park in Bensalem Township, Bucks County, Pennsylvania in the United States. Visitors to the park can catch a glimpse of the Philadelphia skyline from a hiking trail on Logan Point. The park is located at the confluence of Neshaminy Creek and the Delaware River. Neshaminy State Park is just off Interstate 95 on Pennsylvania Route 132. The Philadelphia Museum of Art is an art museum originally chartered in 1876 for the Centennial Exposition in Philadelphia. The main museum building was completed in 1928 on Fairmount, a hill located at the northwest end of the Benjamin Franklin Parkway at Eakins Oval. The museum administers collections containing over 240,000 objects including major holdings of European, American and Asian origin. The various classes of artwork include sculpture, paintings, prints, drawings, photographs, armor, and decorative arts. The attendance figure for the museum was 751,797 in 2015, an increase of 17% from the prior year, ranking it among the top one hundred most-visited art museums in the world. The museum is also one of the largest art museums in the world based on gallery space. Grounds For Sculpture (GFS) is a 42 acre sculpture park and museum located in Hamilton, NJ, United States, on the former site of the New Jersey State Fairgrounds. Founded in 1992 by John Seward Johnson II, the venue is dedicated to promoting an understanding of and appreciation for contemporary sculpture by organizing exhibitions, publishing catalogues, and offering a variety of educational programs and special community events. In July 2000, GFS became a nonprofit organization open to the public. Operation revenues come from visitors, art patrons, donations, and grants. GFS maintains an ever changing collection of sculptures, with works by Seward Johnson and other artists. Rome2rio makes travelling from Croydon to Bensalem easy. Rome2rio is a door-to-door travel information and booking engine, helping you get to and from any location in the world. 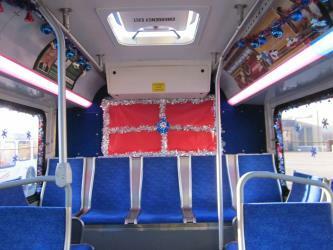 Find all the transport options for your trip from Croydon to Bensalem right here. Rome2rio displays up to date schedules, route maps, journey times and estimated fares from relevant transport operators, ensuring you can make an informed decision about which option will suit you best. Rome2rio also offers online bookings for selected operators, making reservations easy and straightforward.